My friend Chloe's baby is adorable. 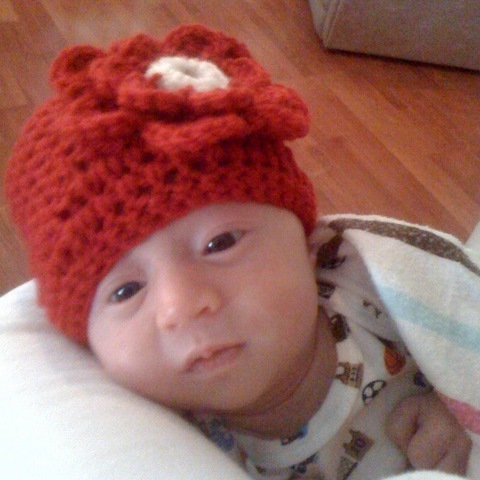 Here she is in a beanie I crocheted for her. She is the smallest baby I have ever held, born at only 5 lbs 19oz. She looks so adorable and cozy. Perfect for this crazy California weather we are having right now. So cute! I can't wait for mine to be here. I need to get her a hat.